This unique meeting was held in Stockholm a few days ahead of the assassination of Sweden’s Prime Minister, Olof Palme. Lindiwe Mabuza is a South African poet. 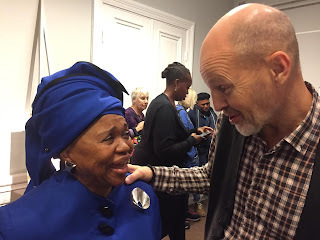 But she has also served as the African National Congress’ Chief Representative to Scandinavia from 1979 to 1986. She was also South Africa’s Ambassador to Germany, Malaysia, the Philippines and the United Kingdom. She read three of the poems. One about Oliver Reginald Tambo. The second about Olof Palme, who Tambo called his brother. The third about Thabo Mbeki, former President of South Africa. Tambo called him his son. It means the bone of a snake and has given name to the whole book. The audience listened very attentive to the poems. It was a special moment. In between the readings a few other persons gave their views on the importance of the link between Sweden and South Africa. 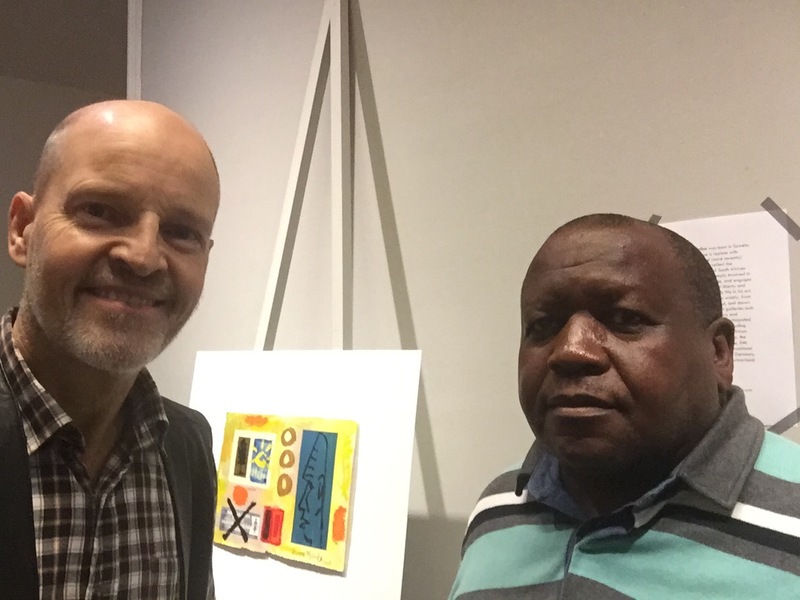 Lindiwe Mabuza, Tor Sällström, Velaphi Mzimba, Anders Bjurner, and Michael Selekane. OR Tambo and Olof Palme. The seminar was held at Fredens Hus (The house of peace) at Uppsala Castle. It was jointly organized with Uppsala University’s Forum for Africa Studies. Three South African artist, who have contributed to the book, also spoke at the seminar. They were: Velaphi Mzimba, Vusi Mbulali and Michael Selekane. To Kristina and Anders. Many thanks for years of solidarity and assistance to pur people and country. 10 March 2014 Fanna Ndow Norrby started an Instagram account where she posted a few stories about expressions of racism that she had experienced. The morning the day thereafter she had 10 000 followers. Some of the stories were posted on the walls in the room where we were seated. Lindiwe Mabuza were quite concerned that racism exists in Sweden today. She was not used to that when she lived here. I don't care what they say about them. I like her. Jag är född 1960. Gift 1984 och har fem barn. Jag bor i Uppsala i Sverige. Jag är präst och lärare i homiletik (predikokunskap) vid Svenska kyrkans utbildningsinstitut i Uppsala. Jag är även lektor vid University of KwaZulu-Natal i Pietermaritzburg, Sydafrika. Mellan 2002 och 2006 bodde jag i Bloemfontein, där många talar många seTswana. Ska man säga präst på det språket heter det 'moruti'. I was born 1960, married 1984 and have five children. I live in Uppsala, Sweden. I am a priest working as a teacher in homiletics at the Church of Sweden Institute for Pastoral Education in Uppsala. I am als an honorary lecturer at the University of KwaZulu-Natal, Pietermaritzburg in South Africa. 2002 - 2006 i lived in Bloemfontein where some speak seTswana. 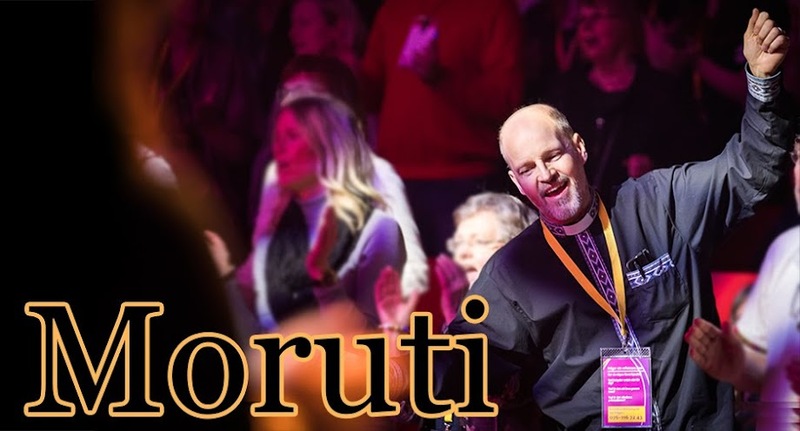 If you want to say priest in that language you say: 'moruti'.